Eyes wide open. The All-New Jeep® Compass Opening Edition is here in all its remarkable fascination. An aggressive and sophisticated profile that stands out from the crowd. Jeep® Compass has a confident stance given by its aerodynamic design. The available black roof and all round chrome DLO that wraps dramatically around the rear and sides make the new SUV immediately recognizable. 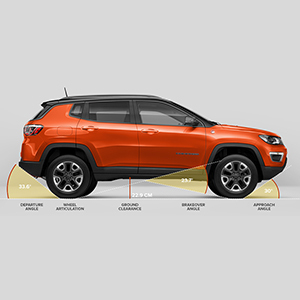 Being noticed has never been so easy if you're on the All-New Jeep® Compass. Sculptured forms, signature Jeep® design elements, high-quality materials and state-of-the-art technology makes the All-New Jeep® Compass interior the perfect environment to accomodate your routes. Get ready to start your drive, the driver’s cockpit, thoughtfully designed, features a 7-inch full-color Instrument Cluster. 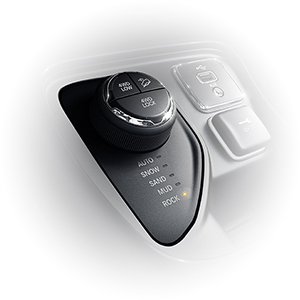 Keep your hands on the steering wheel and focus your attention on the road ahead while your managing audio, voice and speed with the integrated controls. A combination of unmatched 4x4 capability with leading, advanced fuel-efficient powertrain options makes the All-New Jeep® Compass as the most capable compact sport-utility SUV. Choose between two gasoline engines or four diesel ones. 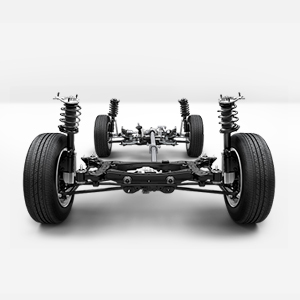 The legendary Jeep® off-road capability are enriched with a pair of new, advanced available on request full-time 4x4 systems, providing customers what no other compact SUV can. Real comfort is to be able to always enjoy a safe and secure driving experience. The All-New Jeep® Compass protects the driver and passengers with more than 70 available safety and security features. Seven standard airbags and multiple advanced active and passive safety and security features deliver outstanding protection and help you avoid trouble in the first place.